Since returning after spending half the season on the DL, Ryan Howard has not had much luck getting his bat going. 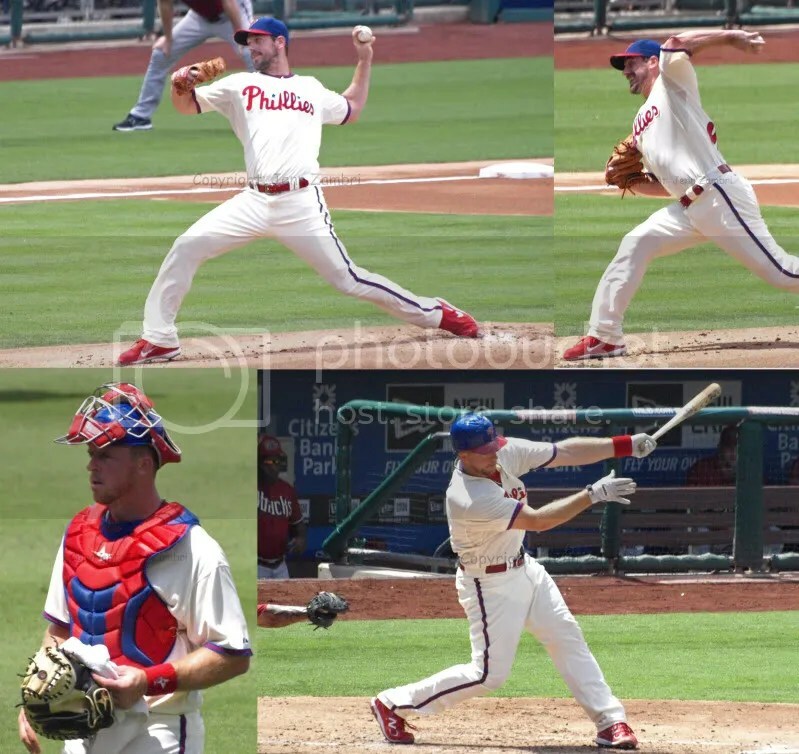 He struck out 3 times in today’s Phillies – Diamondbacks game and each time, the boos got louder. But in the 9th, Howard would redeem himself with a walk-off single to hand the Phillies a 5-4 victory and the series win. Prior to that, Howard was not the only one hearing the boo birds. 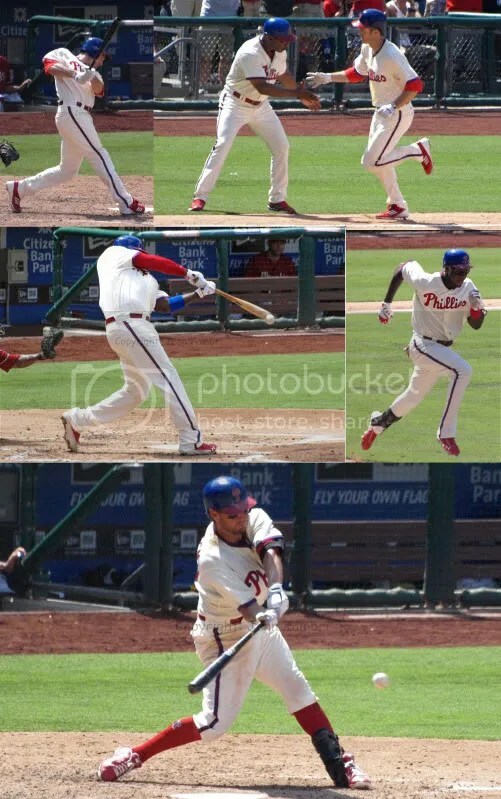 Cliff Lee had a rough 2nd inning where he gave up back-to back homers to guys at the bottom of the D-Backs line-up. His battery mate, Erik Kratz, tried to help him out with 2 hits and an RBI in the game, but Lee is becoming notorious for these odd ups and downs. In case you missed it, catcher Carlos Ruiz is on the DL with a partial tear due to plantar fasciitis in his left foot. So we will be seeing a lot of Kratz in the next 4-6 weeks. The rest of the team sprinkled some offense here and there. Chase Utley smashed a solo homer in the 5th. 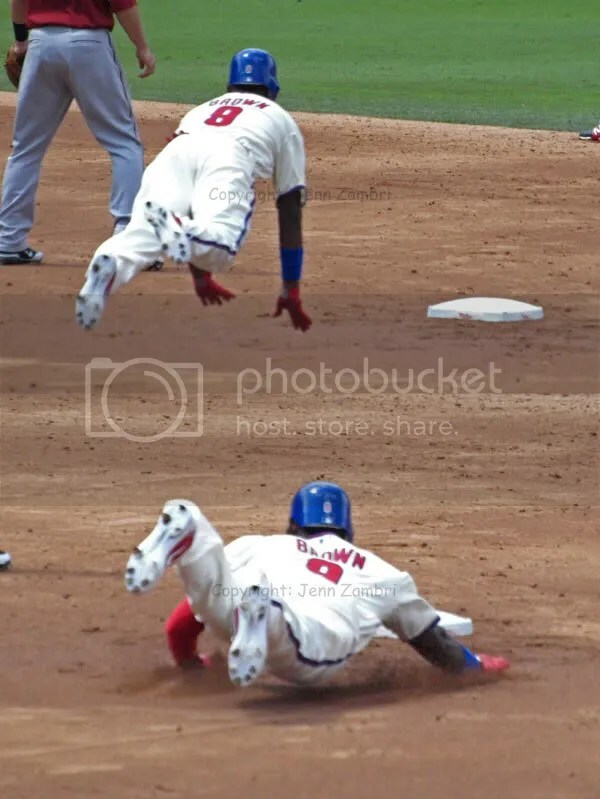 And Domonic Brown went 2-for-4, which is a very good sign. The Phillies also took advantage of D-Backs errors while managing to avoid most of their own recent blunders. A run scored in the 8th to tie the game, which was the result of a D-Backs throwing error. That set up the walk-off from Howard in the 9th. Here is the full Photo Album from the game. Tomorrow the Braves come to town, and although the Phillies have little to play for right now, a little revenge from the sweep last week may be in order. Vance Worley will pitch; game time is 7:05pm.